Patrick McDonough, Founding Artistic Director of The Ensemble of Oregon, is a longtime presence in the Portland vocal arts community. He has performed with all of Portland’s professional choral groups in addition to such ensembles as the Portland Baroque Orchestra, St. Paul Chamber Orchestra Chorale and Minnesota Orchestra. Patrick founded and was Artistic Director of the professional Minneapolis, MN group Ensemble of the North and performed and toured nationally and internationally with The Rose Ensemble and The Dale Warland Singers. He is frequently in demand as a guest conductor and singer throughout the Portland metro area and beyond. 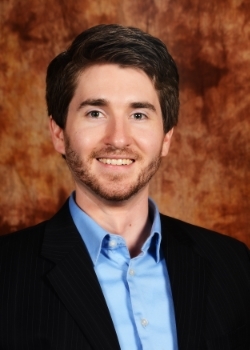 Patrick completed his undergraduate work in Music Performance at the University of Wisconsin-Superior, and subsequently undertook graduate studies in Choral Conducting at the University of Minnesota-Twin Cities where he was Assistant Conductor of the University of Minnesota Concert Choir under the tutelage of Kathy Saltzman Romey. His performances as a conductor and singer can be heard on some fourteen commercial recordings, including the Grammy‐nominated Walden Pond (Dale Warland Singers, 2004). Catherine van der Salm is a native of the Northwest. She grew up in Sandy, Oregon, and graduated with honors from Willamette University in Salem, Oregon, earning two degrees: Bachelor of Science in Business Economics and Bachelor of Music in Vocal Performance. Catherine is an active performer, singing with Cappella Romana, Cantores in Ecclesia, In Mulieribus, Resonance and Oregon Catholic Press, and has appeared as a guest artist with Cascadia Academy of Music, Portland Vocal Consort, Columbia Chorale of Oregon, Bravo! Vancouver and the Vancouver Camerata. In 2002 and 2004, she was a regional finalist in the NATSAA competition, and sang for Elly Ameling at the 2005 International Congress of Voice Teachers. As a private voice teacher in Vancouver, Washington, Catherine coaches singers of all ages in art song, opera, Broadway, and popular musical styles. She is also part of the Portland Alumni Chapter of Mu Phi Epsilon, a professional music fraternity and service organization. She lives in Vancouver with her husband, Ruud, their daughters, Juliana and Annelies. Laura Thoreson has appeared as a guest artist with such groups as Indianapolis Opera, Augusta Opera, Utah Festival Opera, Indiana University Opera Theatre, the Portland Baroque Orchestra, Indianapolis Symphony Orchestra, Lafayette Symphony Orchestra, San Juan Symphony, the Bach Cantata Choir and Orchestra, and more, and has been a four-time guest artist with the Cincinnati Symphony Orchestra. A great choral music enthusiast, Laura has been a member of several professional ensembles, including The Kammerbach Ensemble, Aguava New Music Studio, Apollo's Voice, Vox Reflexa, Cappella Romana, Resonance Ensemble and Trinity Chamber Singers. Laura is a current Performer Diploma candidate at the Jacobs School of Music at Indiana University, where she received her Master of Music in Voice, studying under Distinguished Professor Timothy Noble. She completed her Bachelor of Music in Voice at Central Washington University, as a student of Diane Thueson Reich. 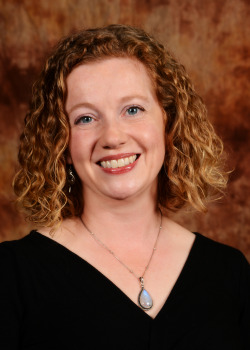 A native of Vancouver, Washington, Laura was recently appointed to the voice faculty at the University of Portland, and maintains a private voice studio in the area, in addition to her active performing schedule. Nicholas Ertsgaard received his Bachelor of Music in Vocal Performance at Millikin University and performed many leading roles there including King Oberon in The Fairy Queen (Purcell), Chevalier De La Force in Dialogues of the Carmelites (Poulenc), Oronte in Alcina (Handel) and Ferrando in Cosi Fan Tutte (Mozart). Nicholas is blessed to be a part of Pacific Northwest groups such as The Chamber Singers and Willamette Master Chorus, and is the Assistant Director of Music Ministries at St. Paul's Episcopal Church, Salem. Praised for her musical sensitivity and clarity of tone, soprano Arwen Myers is quickly gaining a reputation as one of today’s most intelligent and skilled interpreters of new and early music. A versatile artist equally comfortable in oratorio, chamber music, and the recital stage, Ms. Myers has appeared with the Portland Baroque Orchestra, Indianapolis Symphony Orchestra, Augusta Opera, the Idaho Bach Festival, and the Indianapolis Baroque Orchestra, among many others. In July, she placed third nationally in the prestigious 2014 NATS Artist Award competition in Boston, MA. 2015-16 season highlights include solo appearances with Musica Maestrale and The Ensemble, as well as appearances on Portland's Friends of Chamber Music's "Dinner with Friends" series and All Classical FM's "Thursdays at Three." An avid collaborator, Ms. Myers will also appear as a choral artist with In Mulieribus, Cappella Romana, and Prometheus, among others. Ms. Myers holds bachelor’s and master’s degrees and a Performer's Diploma in vocal performance from the Indiana University Jacobs School of Music, where she studied with Alan Bennett and Patricia Brooks Havranek. A native of Augusta, GA, she is currently the music associate at Trinity Episcopal Cathedral in Portland, OR, and she is an active freelance artist both in the Northwest and across the United States.